Home › Latest News › Free Zumba Class! 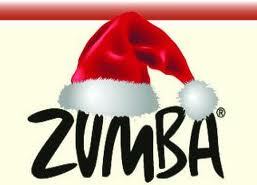 Click HERE to sign-up for our free Holiday ZUMBA Class with Lucy Croft at the store at 7:15pm on December 18, 2013. All music will be holiday themed! 20 participants maximum. If you are unable to attend please cancel your RSVP or call the store at 808-3220 to let us know you will not be able to come. 'Tis the season - do you have the holiday spirit? Fleet Feet Sports and LMC Fitness invite you to bring a toy to class to donate to Toys for Tots. In exchange we'll give you a $10 Fleet Feet coupon and a free class voucher for any of Lucy's ZUMBA classes.